Other ingredients in this oil blend are Cocunt Oil, Almond Oil, Apricot Oil, Grapseed Oil, Jojoba Oil, Roseship Oil and Macadamia Oil. These oils are great for your skin and body and since they are great carrier oils for the essential oils in this blend, you do not need to dilute the oil before using on your skin. Below are some ways I have used the Relax oil blend and my results. Note: I am not a health care professional and this is not a replacement for talking to your doctor about any health conditions! Sleep: I added 5 drops to my diffuser in my room during my bedtime routine. The aroma from the oils helped me to relax and calm my mind so I could get a good restful nights sleep. The result, I woke up the next morning feeling refreshed and ready for the day. No more walking around in a fog searching for the coffee pot. No saying a I don't still love a good cup of coffee in the morning, it's just nice to see the coffee pot while making it! Relaxation: On those particular stressful days, and yes I have a had few. I massage a drop of the oil blend to the back of my neck to help release tension and anxiety so I can think clearly. It has been a life saver for this, I tend to get "wrapped around the axle" when I am stressed and find it difficult to step back and fully look at the problem. Using this oil blend to help me de-stress in these situations has helped me make better decisions. I am sure there are more uses than these I have shared here. If you know of a good use for this type of oil blend please share in a comment below and I will try them out and add them to my list here. I love to get comments from my readers and I read every one. 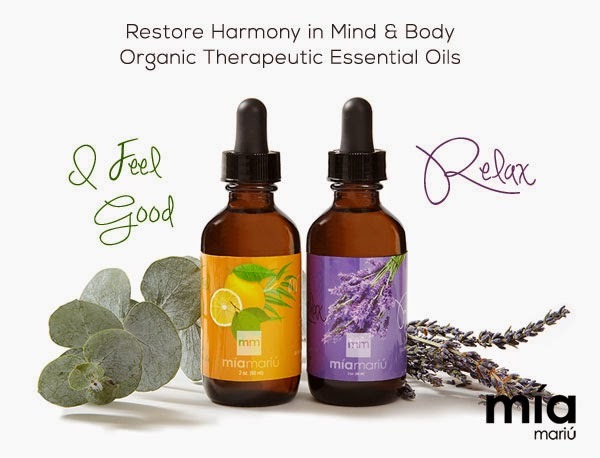 You can purchase this oil through their website at Mia Mariu, also follow them on facebook at facebook.com/miamariu. Be sure to let them know I sent you.